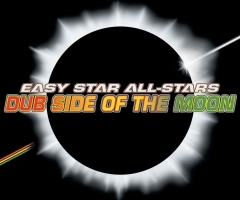 Easy Star All-Stars will celebrate it’s 10th anniversary of it’s album Dub Side of the Moon which is their brilliant rendition of Pink Floyd’s legendary album The Dark Side of the Moon. Easy Star All-Stars has taken the task of covering one of the most recognized albums of all time and could have easily bitten off more than it can chew, but the execution of this album was absolutely flawless. Easy Star All-Stars embraced the psychedelic nature of Pink Floyd, molded it gently, easing in a bit of dub and reggae without hesitation which lost none of the magic of the original, but gained a new, true masterpiece. 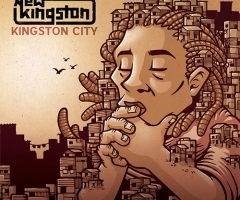 Since it’s release in 2003, Easy Star All-Stars has racked up over 300,000 in sales alone for this very successful album, making it one of the most successful reggae albums internationally. In celebration of the 10th anniversary success of the album, Easy Star All-Stars will begin performing full plays of the album and will also hit the road on a four day national tour starting November 21 in New York and ending four days later in Washington DC with the fine folks of New Kingston opening up each day. The shows will introduce enhanced visuals during the performance as well as a collaboration with award winning Toronto producer Dubmatrix. Upcoming shows for "easy star all-stars"